Take a look at the video. 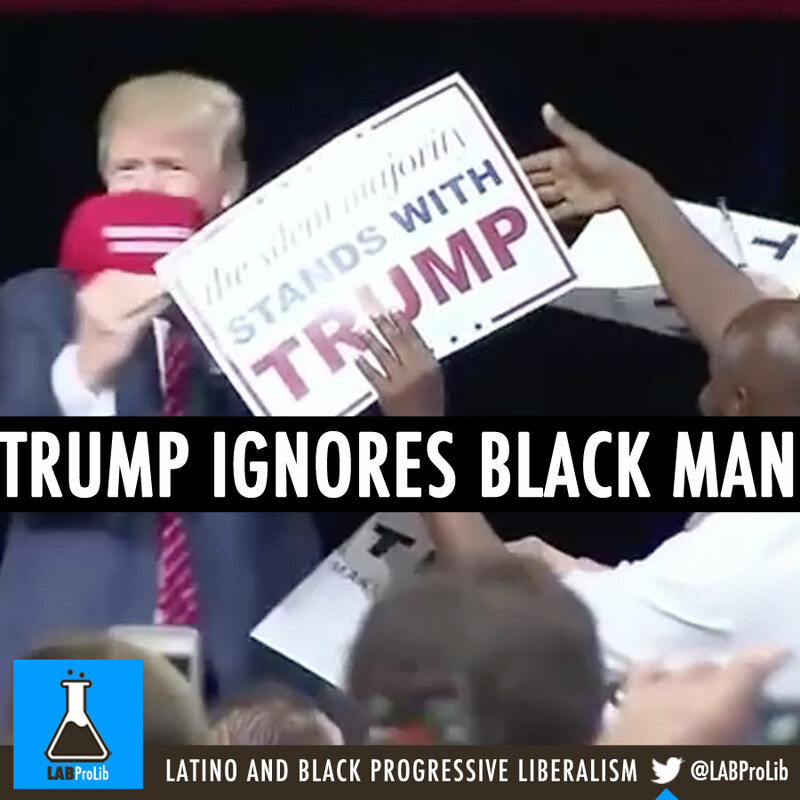 A black man tries to have Trump sign his sign and shake his hand. Trump ignores him. Epic!